NYC, 02/24/2019, 5:15PM. 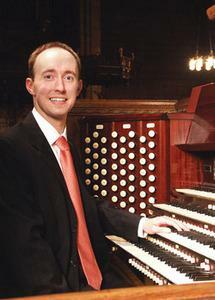 Organist performed at the Westminster Abbey in London. Organist Jeremy Bruns has won prizes in major international competitions, and has been heard regularly on the nationally syndicated radio show Pipe Dreams, broadcasts on BBC Radio, and recordings on the Pro Organo label. Bruns has performed numerous recitals with engagements including St. Paul’s Cathedral and Westminster Abbey in London, Canterbury Cathedral, Washington National Cathedral, St. James’ Cathedral in Toronto, Grace Cathedral in San Francisco, Methuen Memorial Music Hall, St. Paul Cathedral and Heinz Memorial Chapel in Pittsburgh, and other venues in the United States and England.